Gated Section of Wonderful Imperial Oaks. Owner Has Done Extensive Updates Including Wood Flooring, Paint, Extended Covered Patio. Flexible Floor Plan Gives Many Options! His and Hers Studies? Workout Room? Formal Living or Music Room? Gourmet Granite Kitchen, Breakfast Area and Formal Dining. Family Room with Built-Ins is Wired for Surround Sound. Master Down w/ His & Her Vanities. Flex room & 3 Bedrooms Plus Great Game Room Up. Spacious 3 Car Garage. Neighborhood Park, Community Center, & Pool Are Just a Short Walk or Bike Ride Away! Close to the Exxon Mobil Campus and Easy Access to the Hardy Toll Road. Put This Beautiful Home on Your List to See! 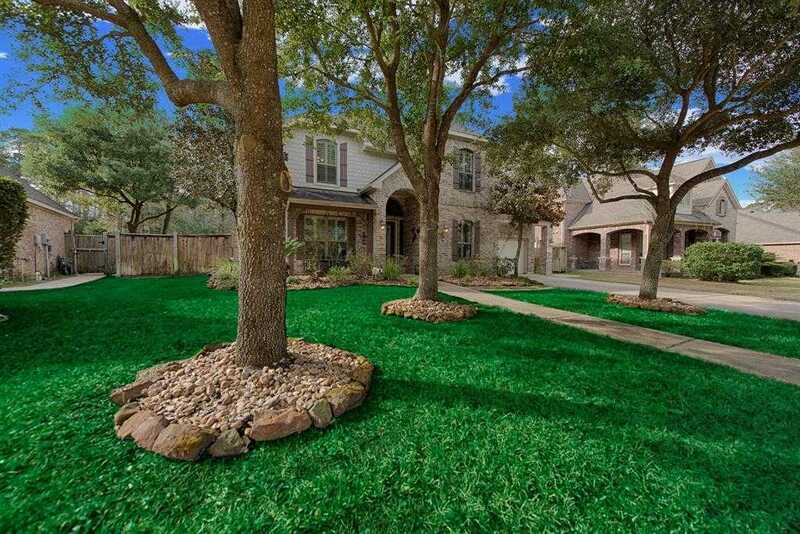 Please, send me more information on this property: MLS# 14223134 – $399,500 – 2218 Spring Lake Park Lane, Spring, TX 77386. I would like to schedule a private showing for this property: MLS# 14223134 – $399,500 – 2218 Spring Lake Park Lane, Spring, TX 77386.